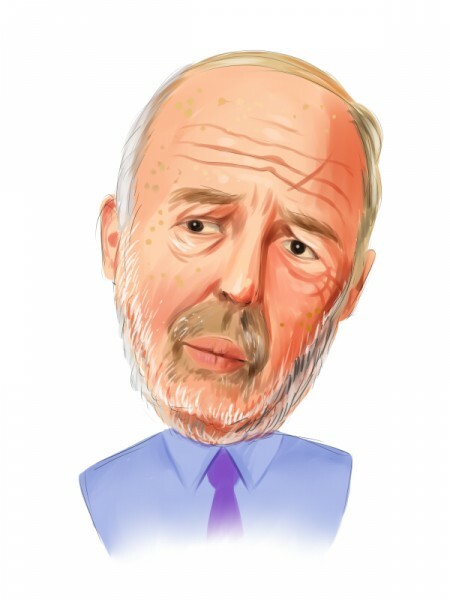 Is Urstadt Biddle Properties Inc (UBA) Going to Burn These Hedge Funds? Urstadt Biddle Properties Inc (NYSE:UBA) was in 6 hedge funds’ portfolio at the end of December. UBA investors should be aware of an increase in hedge fund sentiment lately. There were 3 hedge funds in our database with UBA holdings at the end of the previous quarter. In the 21st century investor’s toolkit, there are tons of indicators shareholders can use to analyze their holdings. A couple of the most useful are hedge fund and insider trading interest. At Insider Monkey, our studies have shown that, historically, those who follow the top picks of the elite hedge fund managers can outclass the market by a superb margin (see just how much). Equally as integral, bullish insider trading sentiment is a second way to break down the financial markets. There are plenty of reasons for an insider to sell shares of his or her company, but only one, very obvious reason why they would initiate a purchase. Various empirical studies have demonstrated the market-beating potential of this method if investors understand where to look (learn more here). Now, we’re going to take a glance at the recent action surrounding Urstadt Biddle Properties Inc (NYSE:UBA). How are hedge funds trading Urstadt Biddle Properties Inc (NYSE:UBA)? In preparation for this year, a total of 6 of the hedge funds we track were long in this stock, a change of 100% from the previous quarter. With hedgies’ capital changing hands, there exists a select group of notable hedge fund managers who were increasing their stakes considerably. Of the funds we track, Forward Management, managed by J. Alan Reid, Jr., holds the largest position in Urstadt Biddle Properties Inc (NYSE:UBA). Forward Management has a $3.9 million position in the stock, comprising 0.3% of its 13F portfolio. On Forward Management’s heels is Renaissance Technologies, managed by Jim Simons, which held a $1.8 million position; the fund has less than 0.1%% of its 13F portfolio invested in the stock. Other hedgies with similar optimism include Murray Stahl’s Horizon Asset Management, Cliff Asness’s AQR Capital Management and John Overdeck and David Siegel’s Two Sigma Advisors. Now, key hedge funds were breaking ground themselves. Forward Management, managed by J. Alan Reid, Jr., created the most valuable position in Urstadt Biddle Properties Inc (NYSE:UBA). Forward Management had 3.9 million invested in the company at the end of the quarter. John Overdeck and David Siegel’s Two Sigma Advisors also made a $0.3 million investment in the stock during the quarter. The only other fund with a new position in the stock is Richard Chilton’s Chilton Investment Company. How have insiders been trading Urstadt Biddle Properties Inc (NYSE:UBA)? Insider purchases made by high-level executives is most useful when the company we’re looking at has seen transactions within the past 180 days. Over the last half-year time frame, Urstadt Biddle Properties Inc (NYSE:UBA) has experienced 1 unique insiders purchasing, and 1 insider sales (see the details of insider trades here). Let’s go over hedge fund and insider activity in other stocks similar to Urstadt Biddle Properties Inc (NYSE:UBA). These stocks are Kite Realty Group Trust (NYSE:KRG), Inland Real Estate Corporation (NYSE:IRC), Saul Centers Inc (NYSE:BFS), Retail Opportunity Investments Corp (NASDAQ:ROIC), and Getty Realty Corp. (NYSE:GTY). This group of stocks are the members of the reit – retail industry and their market caps are closest to UBA’s market cap. Hedge Funds Are Dumping Greenhill & Co., Inc. (GHL) Hedge Funds Are Selling The First Marblehead Corporation (FMD) Arlington Asset Investment Corp (AI): Are Hedge Funds Right About This Stock... Is Federal Agricultural Mortgage Corp. (AGM) Going to Burn These Hedge Funds... Gamco Investors Inc. (GBL): Insiders Are Buying, Should You? Is Safeguard Scientifics, Inc (SFE) Going to Burn These Hedge Funds?